Looking to draw attention at your next event? 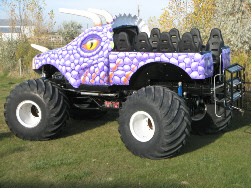 Check us out -we are Canada's newest monster truck ride truck built to give people rides and built to look like our world famous Jurassic Attack race truck. 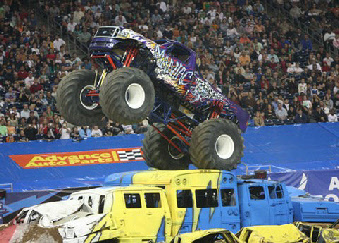 We can add excitement to your fairs, events, shows or store displays and possibly even make you money while doing so. 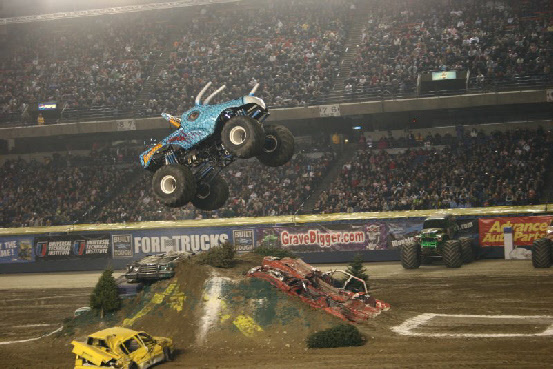 We can do events anywhere in Canada and the USA. 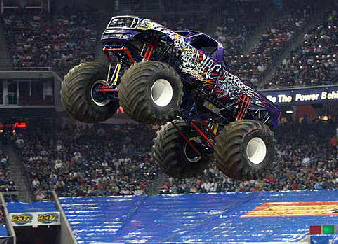 It is also a worldwide recognized truck as we have been in the monster truck business for over 20 years. 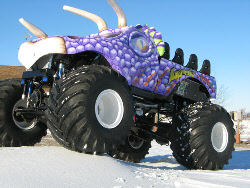 Jurassic Attack is an established name as one of the favourites on Speed TV's Monster Jam series. - Looks like a dinosaur. 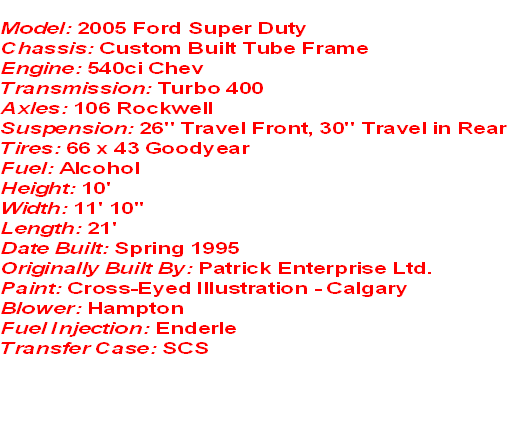 - Looks like our well known race truck. - Built like a race truck and not a stock pickup just lifted up. 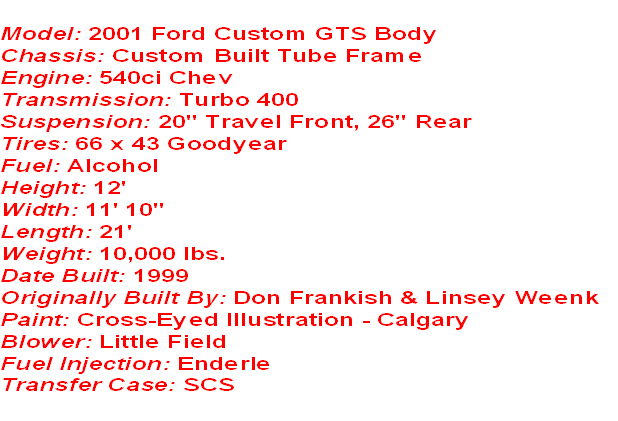 - Built completely new and not a converted old race truck. - Has built in hydraulic ladder at rear so no need to back up to a ladder every trip. A safer and more efficient way to load passengers. - Rear step also allows for loading and unloading anywhere so truck can operate as a shuttle to and from parking areas. 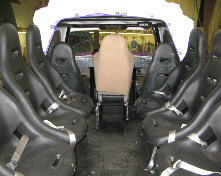 - Two in-cab riders seats. A very unique perspective others don't offer. - Holds 10 passengers total. More than most so more profit for both of us. - Foreword and rear facing hi res colour onboard video for improved view with infrared so it works even in very dark conditions. - multiple musical horn just for fun. - Neon lighting throughout that flashes to the music or sounds around. - Clear firewall just like real race trucks. - Airbags can be manipulated to make ride more interesting even when sitting still. - Has a wider safer stance than most. Anyway, that's the basics for it. We require about a 100ft. x 150ft. area to run in and must be able to park a full sized semi rig there as well. Can be dirt or pavement. Other options often include hotel rooms, water and power but are not always necessary for multiple day events only.